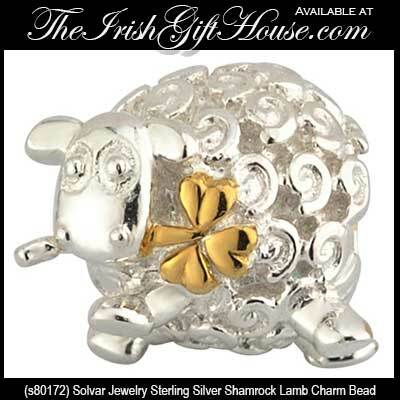 This Celtic bead is a sterling silver Irish lamb with a gold plated shamrock. 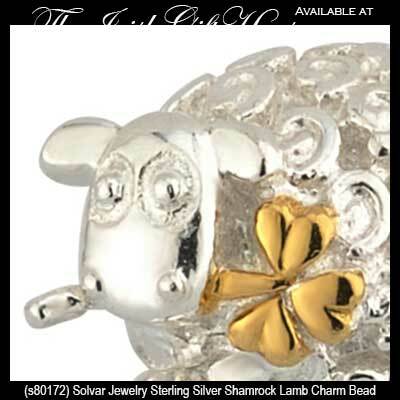 This sterling silver Celtic bead features an Irish lamb with a gold plated shamrock in it's mouth and it measures 3/8” wide. This Irish charm bead fits all competing bead bracelets and is gift boxed with the shamrock history. Part of the Fáilte Ireland Collection from Solvar and is made in Dublin, Ireland.